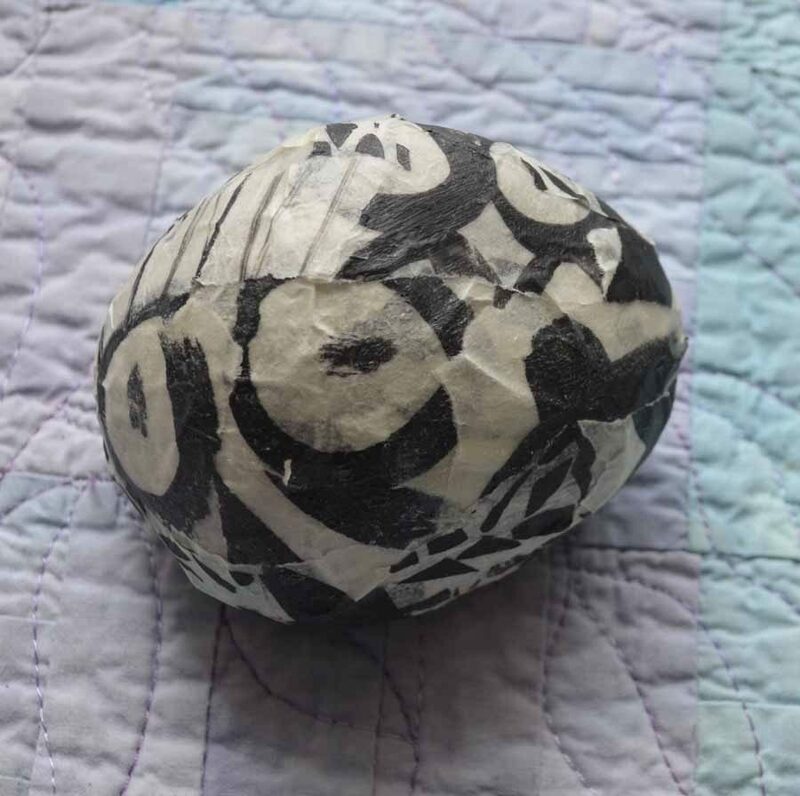 I saw this smooth rock just hand sized and thought I would collage some papers on it. When Laura had her painted papers DMTV workshop I twigged on that rock. I must go and search my garden for a rock! !